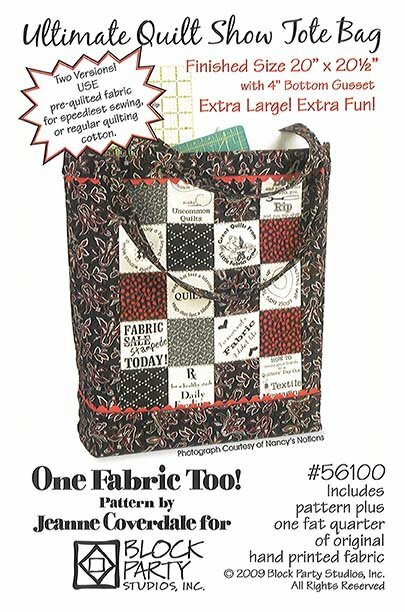 Make this great tote made with or without a panel. Bag has four inside pockets. Finished size 20" x 20" with 4" bottom gusset.